I am reading this right now for book club. It is depressing as hell but also strangely uplifting. 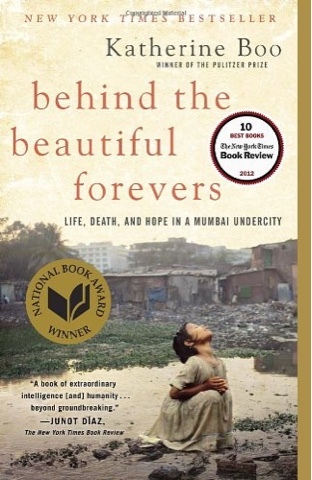 Katherine Boo has done extensive research to write such a first hand account of life in India. It's written like fiction, a story woven from reality. I am smell sensitive and I can faintly get a whiff now and then as I read of the sewage lake and the trash. It's extraordinarily real. Today when I'm feeling blue about my own life it serves as a major reminder of what we take for granted in these United States of Americah. If you are interested in the greater world around us pick this book up.